You are here: Home / blog / It’s Like HGTV in here! It’s Like HGTV in here! So you watch all those home improvement shows (well I watch them) and they convert a shed to a 6 bedroom mansion in 30 minuts with a budget of $30,000. Ta da. Well that is TV magic. When it happens for real it is kind of a mess for a while before it starts to look better again — and it takes a lot more than 30 minutes (and more than $30K)! 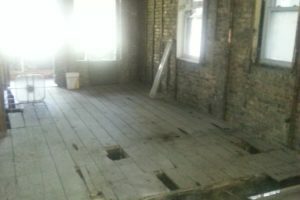 We have started a neat job in Chicago’s Andersonville neighborhood – converting a gray stone 2-flat to a single family home. I LOVE IT! It’s one of those, “would’t it be cool to do that” kind of jobs. I always wanted to do and now we are! No? You don’t have the same tingly feeling? Maybe not for you, but this is serious fun for us HGTV addicts. Its like an HGTV show with lots of reality thrown in. 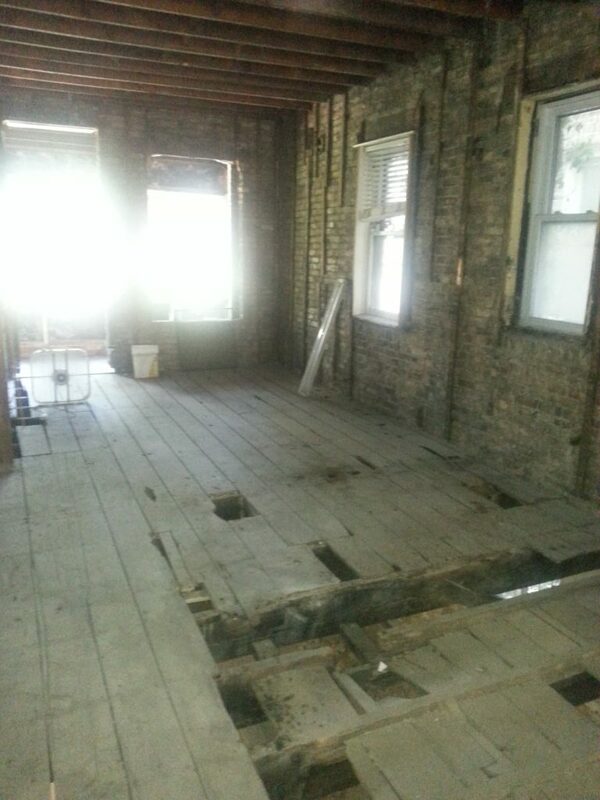 So the pictures so far show us the messy, dusty, kinda smelly side — ripping out the old. And I do mean rip it out all the way out the the brick walls. Every wall, ceiling, fixture and floor. EVERYTHING MUST GO! This is the part where homowners walk in and have a small heart attack – it is hard to imagine until it happens. Then they have a moment of “holy moley what did I do”?? Well, I hope you hired Follyn Builders because then you will be just fine! My goal is to document the process as we go. Fun right? So here we go!